The 709s are finally gone, so in tribute I have made this video. Farewell our 709s. You will be sorely missed. Farewell, and thanks for all the connections! The 46, and the 47. 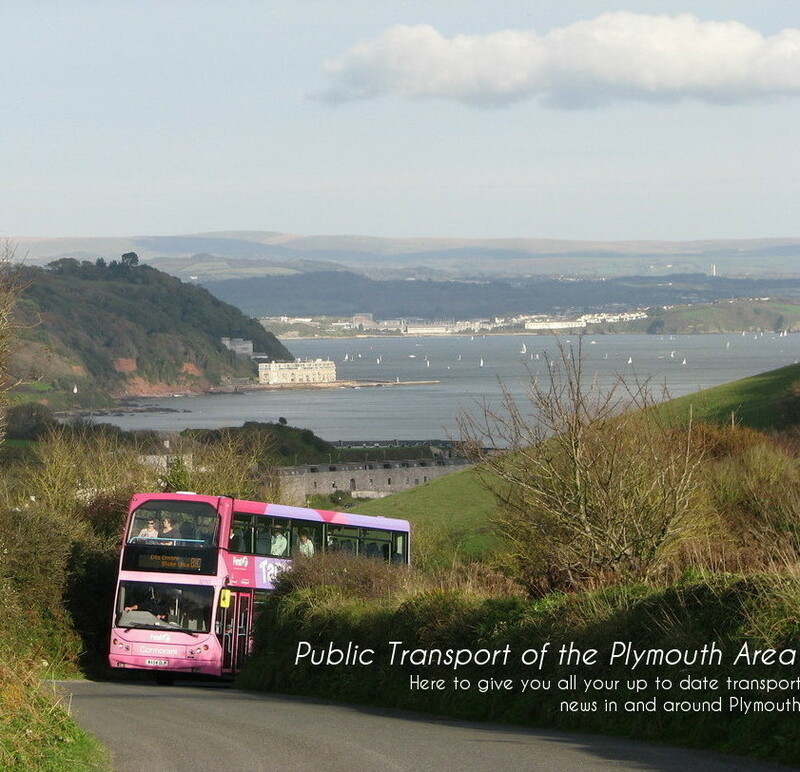 The routes that would get you practically from anywhere, to anywhere in Plymouth (excluding anywhere East!). You could so easily get to some weird and wonderful parts of Plymouth, with just one simple service, and that is what will sorely be missed by many passengers of the routes. 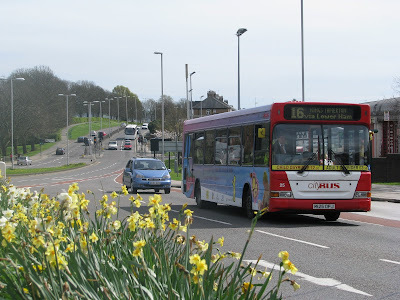 As I'm sure many of you have noticed, there has been a lot of complaints on the Plymouth Citybus Facebook page, stating that they would be stranded and it would be impossible for them to reach their destinations. Of course in reality, this is true in only a very small number of cases, it just means you might have to change once or twice, which strangely, people seem extremely reluctant to do (although I'll come round to all this in more depth at some point later on!). These routes are the last to see a staple diet of step entrance Darts operating them (actually thinking about it 59 is the only other route which usually gets them), although from what I've heard the 27 so far seems to be seeing these operating on them before the Volvo B7 deckers can displace some SLFs onto this service. As some of you may know the Mercedes 709s are now totally withdrawn, with all remaining 709s now de-licensed. 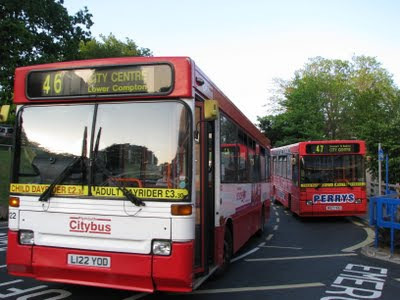 When the final K, L and M reg Darts do go, which surely can't be far off now, Plymouth Citybus will be totally low floor (of course excluding the Volvo Citybus' used on schools only). Good (or from an enthusiast's point, not so good!) that Go Ahead have converted PCB to low floor well ahead of the 2016/7 deadline for 100% low floor operation. This will certainly be something PCB will be proud of, and will be happy to boast about. First in Plymouth aren't exactly far off though. Generally its just Torpoint's 3 K-ORLs that are the only high floor buses to operate in the city. 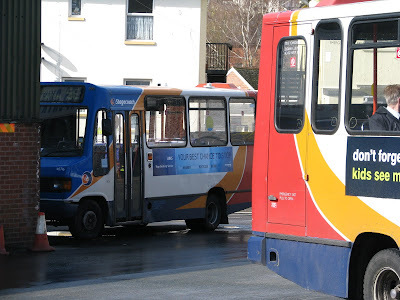 But then its not uncommon to find one of the K-LAEs still out operating Tavistock services, with one now and again escaping onto a Ugobus route (which generally seems to be the 3 for some reason). The last group of passengers on the final service 47. Some aware it was the last trip, others blissfully unaware! 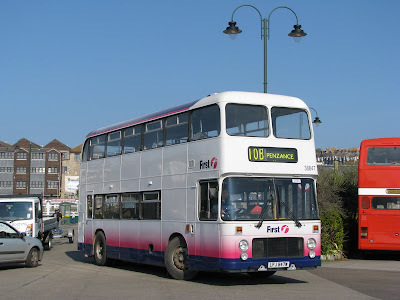 Anyway back to the 46/7, the buses that had the honour of operating the last services were L122 YOD, on the final 46, and M127 HOD on the final 47, and the final of them to do the round trip in either direction. I did indeed make the effort to use the 47 for the final round trip, although many of my fellow passengers that evening, seemed blissfully unaware that this was the last ever service. 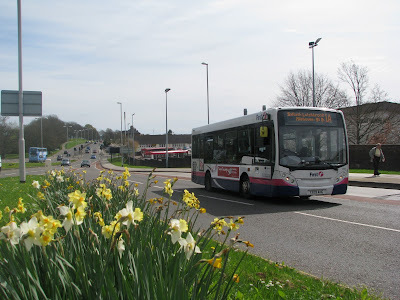 Two particular, young teenage girls certainly made me laugh when they joined the service at St Budeaux, after boarding the 47 rather than the 26 which was awaiting time at the stand infront of us. Of course the Darts are known for their quick acceleration and one of them shouted "Wow, glad we got on this one, this is much faster than the 26!". Though they later withdrew this comment with the remark of "Oh god why does this bus take soooooooo lonnggggg!!!!". 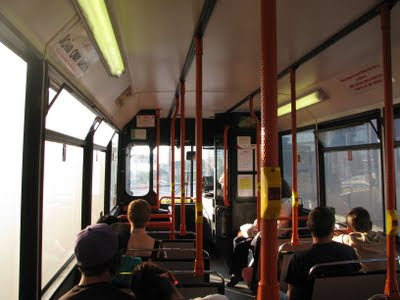 One even asked me at one point "Does this bus actually go to town!?". I mean surely its a worthwhile sacrifice, a few minutes extra to ride on the final 47!. M127 HOD awaiting time before operating the final 47. M127 was certainly a good Dart though, and she was masterfully handled throughout the route. Yes the vinyls over the windows were a bit annoying, but you win some, you lose some!. I am now the very proud owner, of the last ticket ever printed on a service 47, Railway Station - City Centre. It was certainly a tear jerking moment (actually no, I'm not quite that sad! ), seeing M127 power up Royal Parade for the last time, into the sunset, the blind set for Milehouse, for the final time. 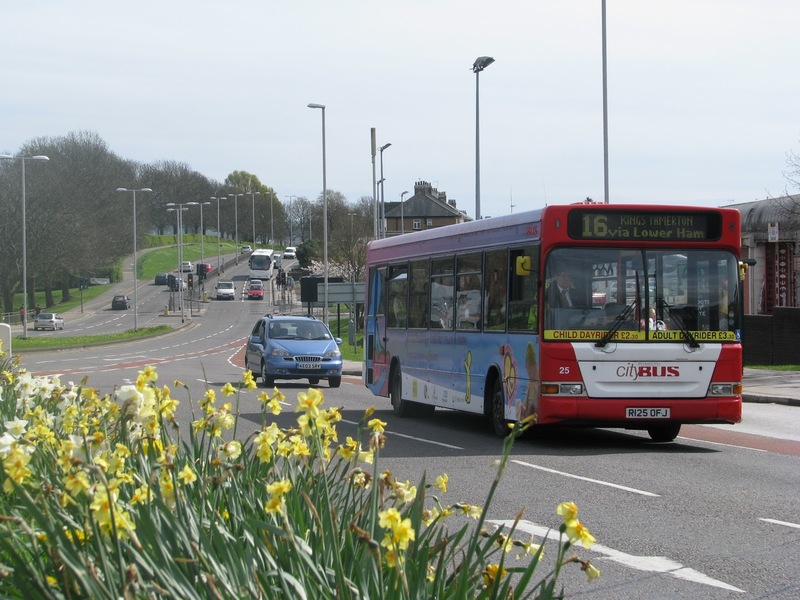 The route will sorely be missed by many, and it is true, that many journeys will never be so simple again, linking so many communities together within Plymouth. 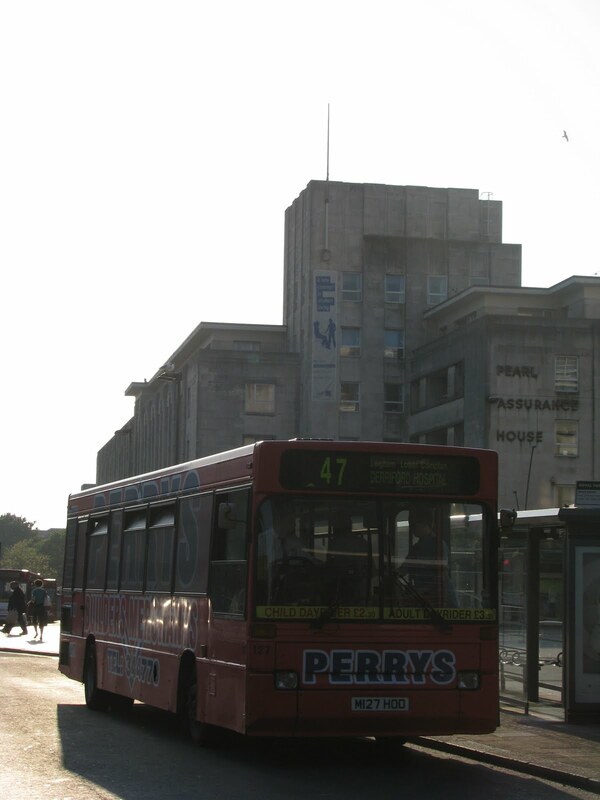 The services were, if you will, a binding of Plymouth, and for this reason, 46 and 47 are a sad loss to the city itself. Farewell 46/7 and thanks for all the memories! It was a heart stopping moment when at 11:50, what swung round the corner on the 8 to Croyde was in fact Dennis Trident 32768, but luckily, with some perseverance, an hour passed, and D705 GHY pulled up to whisk me away to Croyde! The route is a really nice mix of some really fast running, followed by some slow up and down the gears around Braunton, and then a nice thrash along the cliffside towards Croyde. I was amazed at how many people were looking, and even waving at the Volvo as we drove along, true its something different, but there was a really nice reaction to it all. 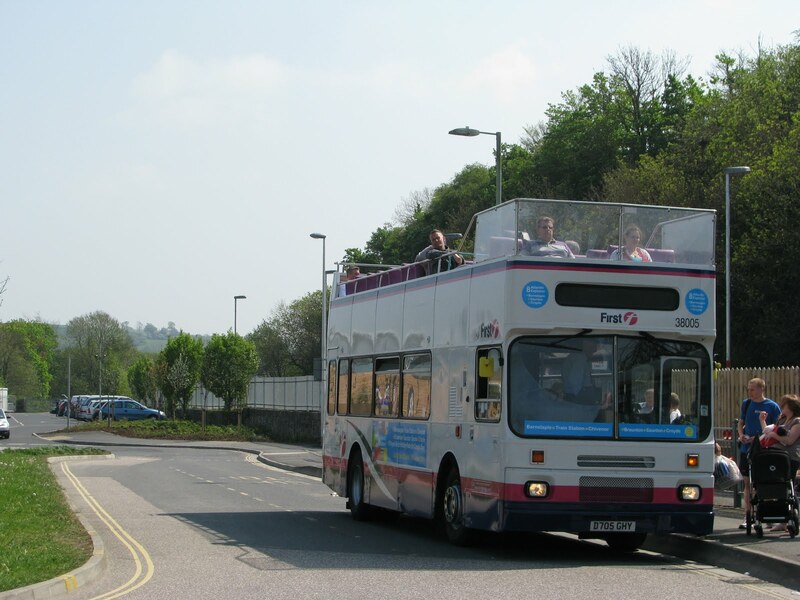 Some locals even boarded and were really thrilled that they had an open top bus to pop into town on! Some stayed on further and did the whole round trip they enjoyed it so much! The services took good loadings even though it was only its second day of operation, so this certainly looks to be a bright future for this new service. First Devon and Cornwall will start their new service this Friday (co-incidental on my birthday), running from Barnstaple to Croyde. There has been much talk about which buses will be operating the service, as no new open tops have yet been made available. 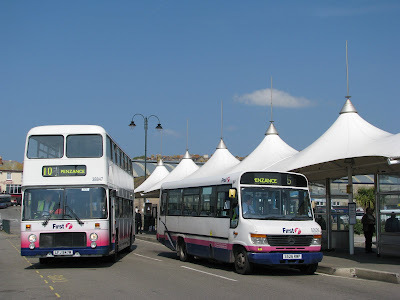 It had been heard that one of the N reg Volvo Olympian open tops from Weymouth would be operating the service, though the buses that have turned up in Barnstaple, currently parked at the depot are 2 of the Cornwall's Volvo B10M open toppers, D701 GHY and D705 GHY. D701 is already branded up for the service so this will certainly be used. As for this N reg open topper, I've heard no further reports. It has also been rumored the K616 LAE may be undergoing work at the moment to convert her to open top format, before the full timetable comes into use on the 300. At the moment 300 operates on a reduced timetable, until the height of summer, so less buses are required. So several questions still surround the route, we shall just have to see what comes to light over the next few months! To my personal delight, ex-Torpoint Bristol VR, LFJ 847W took to the rally circuit yesterday after nearly 4 years away from the scene. What a spectacle to see her out in all her glory, retaining her Barbie fades, which personally, I always thought looked good on a VR! 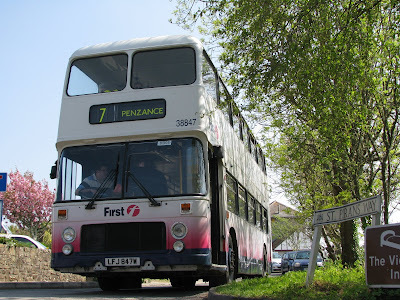 I stepped aboard her for the first time in nearly 6 years for a trip to St Just, in the very capable hands of Terry Bennett, and what a difference having a good driver can make to a bus! She was, understandably, never driven particularly well when I used to catch her on many a morning, on my run down to Cremyll on the way to school. As the video illustrates, she sounds utterly fantastic, pounding through the streets of Marazion. The incredible noise is down to her modified exhaust system, and re-conditioned engine she received in 2003, still being comparatively new to many VRs. It really was a trip down memory lane. I know many of us complain when the general public comment "Oh I used to get one of these to school" and the like, but really, that is where the memories are imprinted. Certainly for me, it was having a VR on the ride to school each morning that first captured my attention, and if it weren't for her and the rest of the batch, I wouldn't be writing this today! Its funny the tiny little details you can remember on a bus like that, each VR having its own stories to tell. She may have been the only VR I've ever broken down on, but she is certainly up there with the best of them, and after yesterday's performance, may have crept up to pole position in my league table for VRs! Wow, well where do I start! So many fantastic photos from today's rally in Penzance. Absolutely brilliant day, well done to everyone at the Cornwall Bus Preservation Group, that really was one of the best rallies I've been to in a long time! I'll do a full post later on in the week, but for now I shall leave you with LFJ 858W negociating the hill at Sennen Cove, which Western Greyhound MD Mark Howarth, very kindly gave us the oportunity to do, dropping us off at the top, and picking up on the way back up! Just little things like that really make a big difference to the day, so thanks Mark! Just as a quick note if you didn't know already, the Cornish Bus Preservation Group will be holding their rally in Penzance tomorrow starting at 9:30! 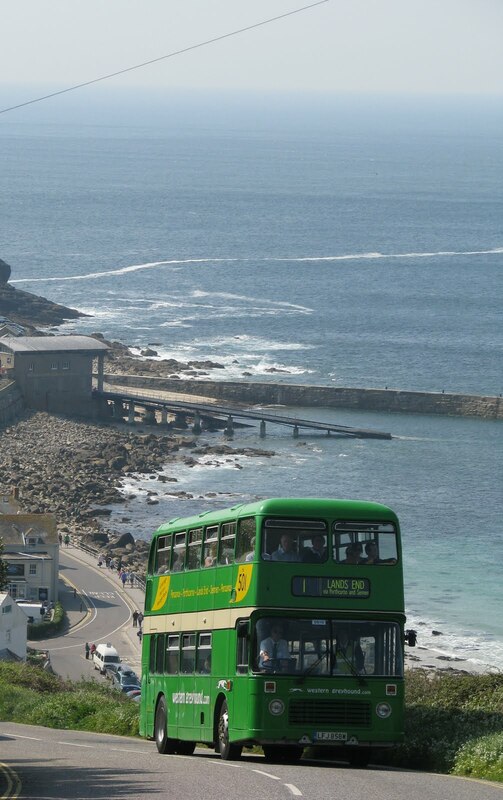 A large variety of routes will be run again from the Bus Station to, Land's End, Marazion, Perranuthnoe, Mousehole, St Ives, St Just. A large variety of vehicles will also be running at the event tomorrow, really something for everyone this year! Bristol VRs for tomorrow include OTA 290G, BFJ 175L, SFJ 106R, AFJ 764T, VDV 141S, XDV 608S, FDV 780V, LFJ 858W, and notably, LFJ 844W and LFJ 847W. 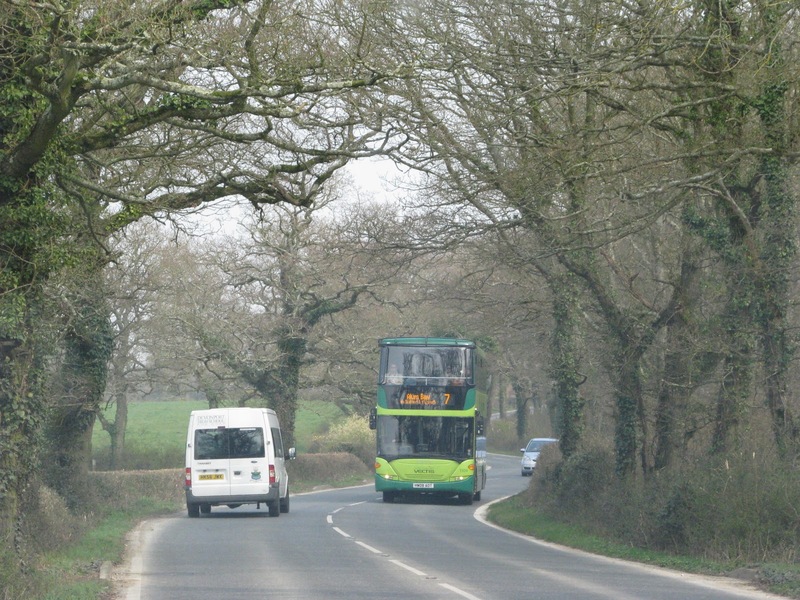 If this does come to fruition, this will be the first time the two buses have run alongside each other since 2007 at the WHOTT rally in Exeter. 847 hasn't been out on the rally circuit for a few years now, so it will certainly be nice to see the two buses re-united once again! 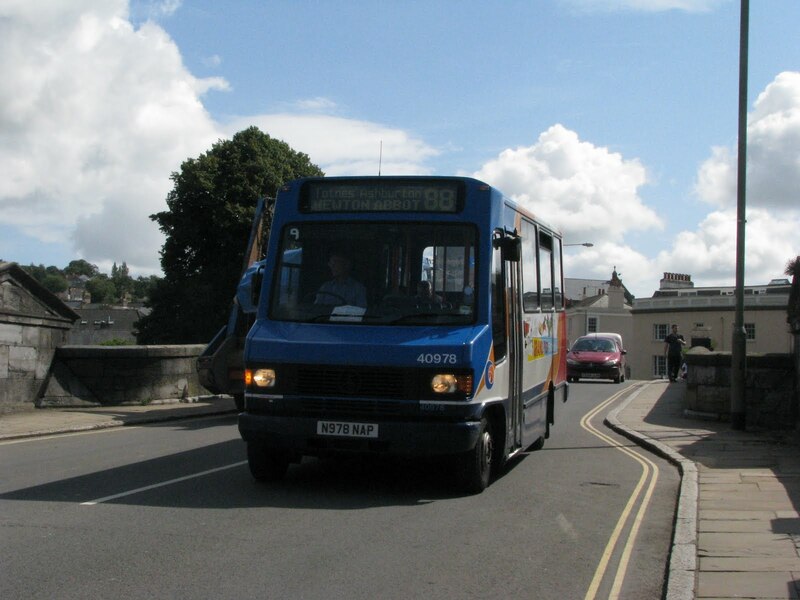 But of course its not just VRs, Leyland Nationals down for tomorrow are HTA 844N and AFJ 708T, the North Devon Bike Bus. Again both of these haven't been out for a while, so certainly good to see these two together! Bristol LHs for tomorrow will be MUO 328F, VOD 124K, FDV 790V and BDV 318L. Bristol LD VDV 760 Bristol FLF 468 FTT. Dennis Dart K105 SFJ, Mercedes Vario S529 RWP, again another Torpoint vehicle joining the duo of VRs she used to work alongside. Leyland Olympians, A754 VAF, A686 KDV and G909 TWS. The star of the show amongst this great selection though will be Colin Billington's newly restored Guy FBB, YF 714. Built in 1927, she ran for the Great Western Railway at the beginning of her life, before being turned into a caravan for 20 years! I throughly recommend reading the history of the vehicle on the link below, it really is quite fascinating! A huge well done to Colin and the team for getting her into this immaculate state after so many years. So sounds again like it will be a brilliant event, certainly Penzance is close to, if not the favourite rally of the year on my calender! I look forward to seeing many of you around tomorrow morning. 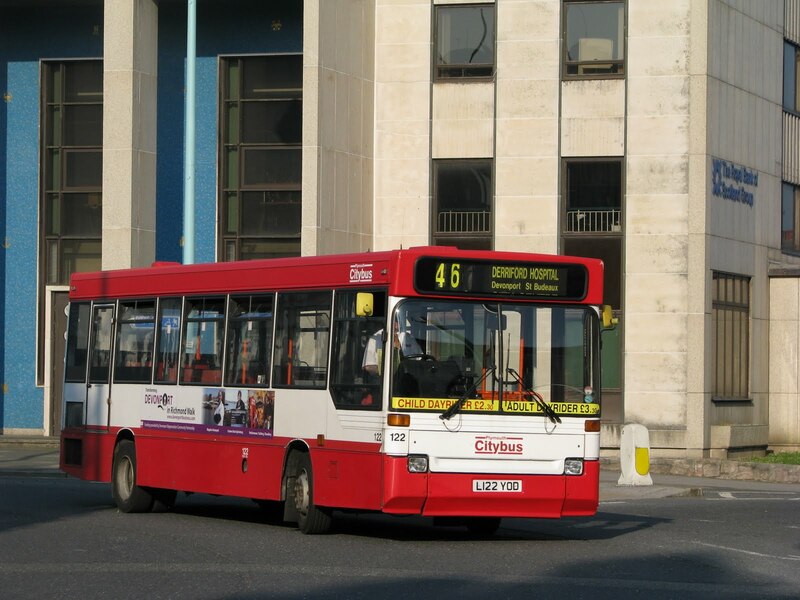 Plymouth Citycoach have currently got this Volvo B9 on loan for a trial purposes. This is the first coach I can re-call being on trial at PCC for many years, so its good to see that Go Ahead may be taking a real interest in the Plymouth City Coach side of the business. It was feared that this may come to an end after the council decided to sell up, but credit to Go Ahead, they've maintained it very well indeed, still providing regular excursions throughout the year, as well as providing the private hire capabilities. It will be interesting then to see if some investment will be made in the coaching side in years to come. Of course Go Ahead have also kept hold of the coaching business at Damory which has seen modernisation and a new livery, which is certainly very clean and striking. I'll be keen to see how PCC will develop in the years to come. Photo has come thanks to Tom Pearce. Continuing our look at the bus scene in Paignton, Devonian have now acquired two new buses. 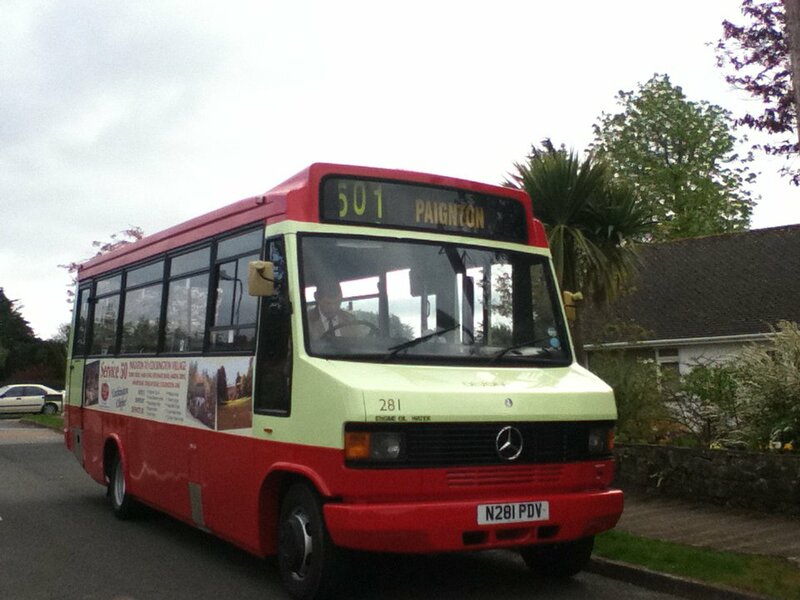 Firstly is Ex Plymouth Citybus Mercedes 709, N281 PDV. She has been bought to work the new service 50, 'Cockington Clipper', with appropriate advertising on the sides! 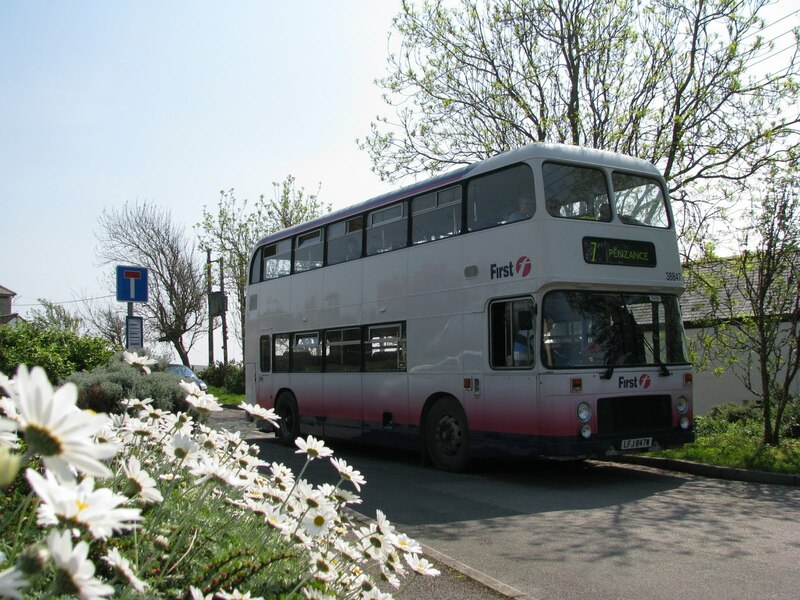 She will join N278 PDV also in the Devonian fleet as a matching pair, both looking very smart in the cream and red livery. Good also to see that while some 709s are departing the town, another one has been gained to make up the numbers a bit! Secondly, Devonian are now running this ECW bodied Leyland Olympian, A146 OFR, which was new to Ribble in 1984. 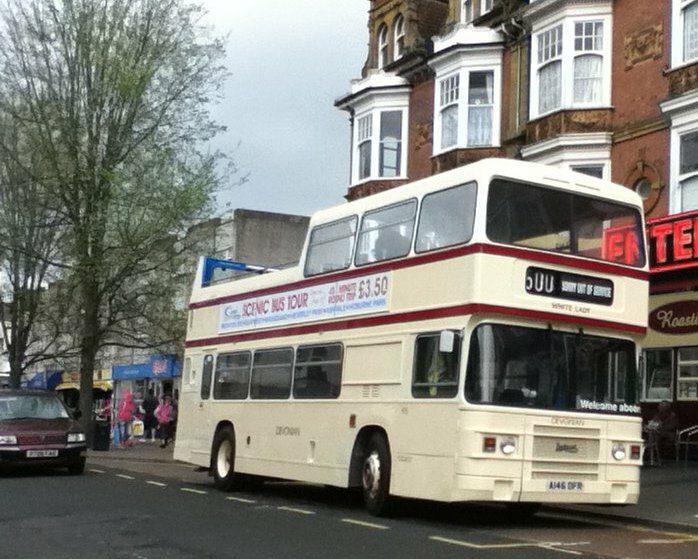 Most recently she has been used by Howards Travel as a school bus, but has escaped and been converted to semi-open top form for this year's running season. 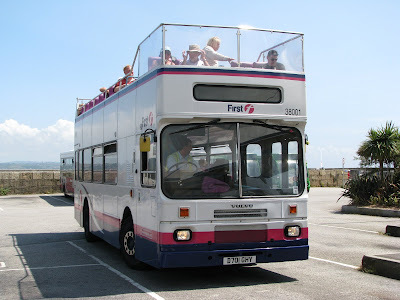 She will join the Atlantean on the seafront 500 trips in Torbay through the summer, and I'm certainly looking forward to having go myself at some point this year! Certainly good to see a return of the ECW bodied Leyland Olympian to service in the region. 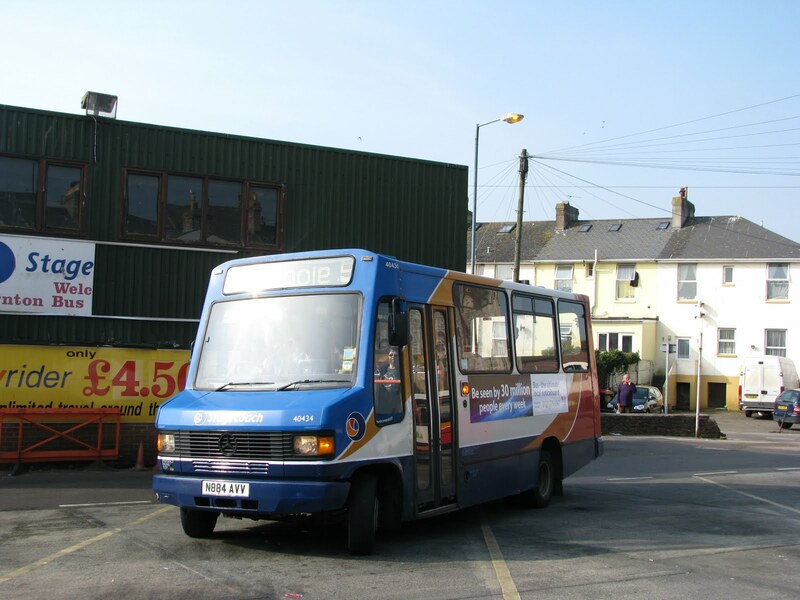 Well these little 709s looked like they'd survive forever in the hands of Stagecoach, certainly surpassing many people's expectations for time in service. They're outlived SCD's (or should I be saying SSW's?) Varios, and technically, even some low floor Darts and Volvo B6s. But the time is finally up for these little fighters. 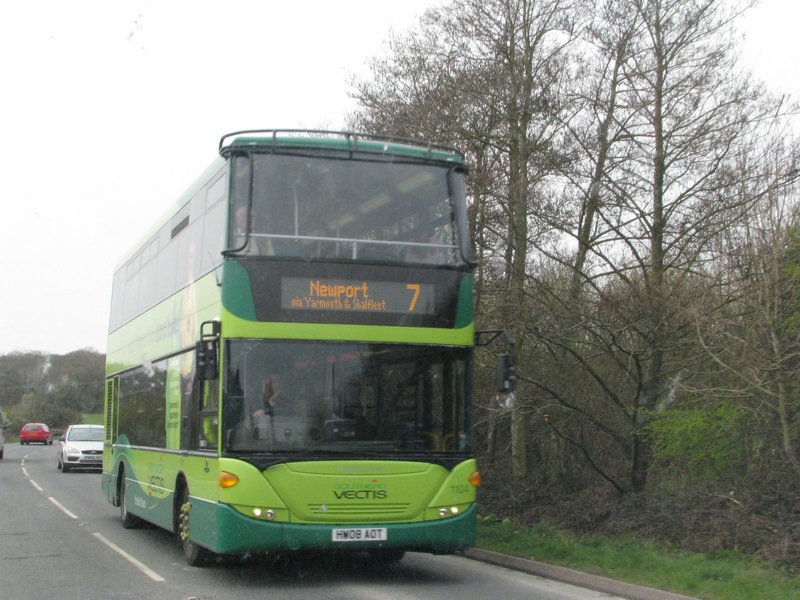 With the recent influx of Enviro 200s onto the streets of Exeter, this has freed up the Solos to be moved down to Paignton to finally see off the last of the of the 709s. Their usual haunt is the 5, a small circular service round the housing estates, though in previous years I've been them all over, including the 88 through Totnes and Buckfasleigh. With the PCB 709s also looking set to be seen off anytime soon, we really are into the final weeks (possibly months) of local 709 operation. Though saying that, Devonian are now running 2 Ex PCB examples on their local services in Paignton, as well as Riverlink still operating an example. So the 709 won't be seen off quite yet in the Bay, but the loss of Stagecoach's is certainly an important milestone in their history. Its always been something to smile at, when a route has to be changed, because the modern day equivalent can't cope! And this instance is no different! 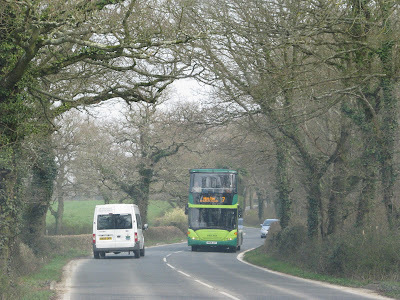 From what I have heard, the Solos have indeed been struggling to conquer certain roads due to awkwardly parked cars on the narrow estate lanes, which may cause some diversions on the route to be put in place where the 709s have always breezed through. I'm sure some of the less able people would much rather a bus came down their street, but have to climb a few steps, than have to walk even several hundred extra meters to a new bus stop. I know, I've over simplified this a bit, and I'm sure bringing low floor provision to the route will be a benefit to many people, but it does enable you to laugh 'progress'. Though the type of bus has certainly been a constant, there have been many different batches at work, and I will therefore pass you on to a local expert who has monitored the fleet much more closely than I have! Kameron's video gives a very detailed account of their recent lives, so please do take the time to watch this short video he has done. The 709 part starts from 50 seconds into the video, enjoy! 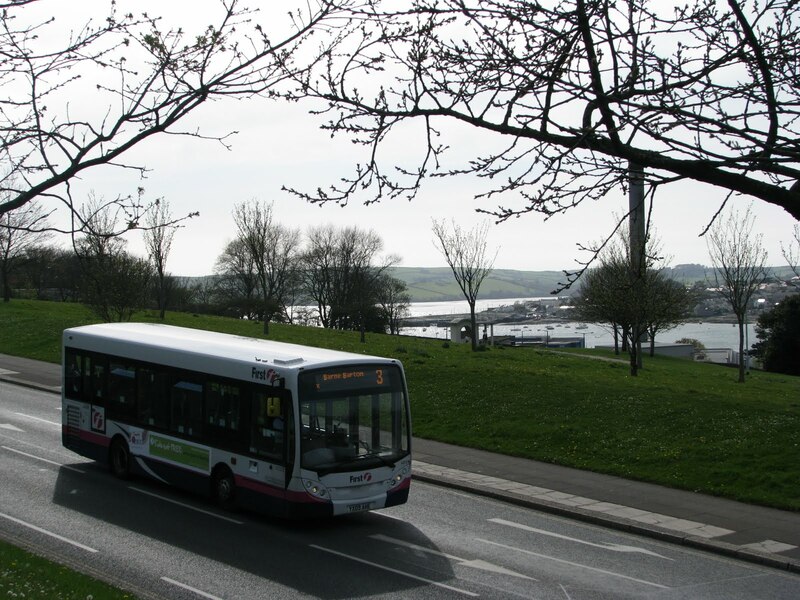 A picturesque view from Devonport Park of Dennis Enviro 200, 44918, looking down across to the Tamar. With such a large collection of Plymouth photos now, I've been trying to 'branch' out (get it!?). 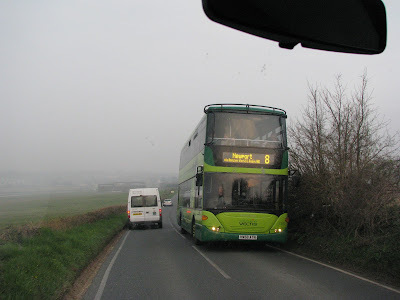 Unfortunately there was no free time available to be able to go and do any 'proper' bus spotting, so a majority of the photos were grabbed while on the move through the window the the minibus! Southern Vectis operate a fair amount of these Scania Omnidekkas on all sorts of services around the island. Even though the roads aren't exactly the best, they are kept in surprisingly good condition. True that they are only 2-3 years old, but they were kept clean and in a very good state of repair, no bodge jobs done here! 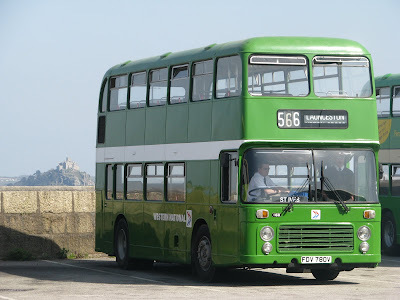 Local enthusiast, and radio presenter, David Sheppard, is hoping to have some resin models of the Bristol SUL made by 'Little Bus Company', to celebrate 50 years of life for his SU, 270 KTA, and subsequent other vehicles. Of course this entirely depends upon interest received if people think they would be willing to purchase one, because of the minimum order requirement before they would be put into production. At the moment David is only gauging interest to see if it would be feasible to undertake for the company. The price for this (OO gauge model by the way) would be £30, so if you are interested, please leave a comment on this post, or alternatively, let me know on the PTOTPA e-mail address at ptotpa@hotmail.com. Don't forget also to keep tabs on 270 KTA's preservation blog at www.270kta.blogspot.com. Sorry about the delay to the usual post, but the internet decided to give up last night, so never got the chance to write the blog! But there we go! Spring is certainly in the air now, and some lovely daffodils have sprouted up at Milehouse. While having a peak over the wall to try and find the B7 Demo, I took the opportunity to take a few photos!